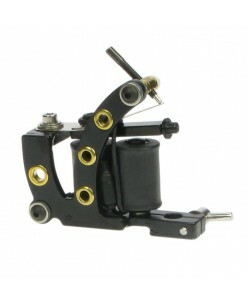 Ronnie Starr Liner Tattoo Machine ..
Ronnie Starr Shader Tattoo Machine ..
Titan Aluminium Mini Liner Tattoo Machine - Designed, produced and hand built in the UK by Ronnie Starr, one of the worlds leading tattoo machine builders for many years. 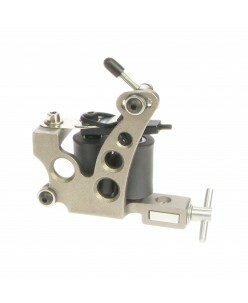 The frame is investment cast in Aluminium for precision and has a brush finish. 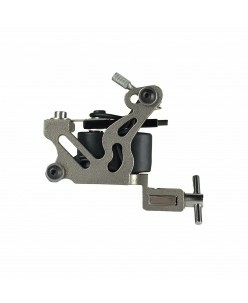 Due to the Aluminium frame the machine is much lighter than most othe.. 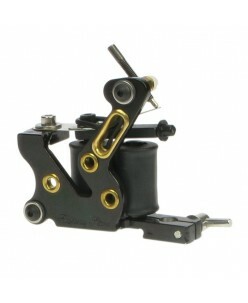 Turbo Cast Iron Shader Tattoo Machine - Designed, produced and hand built in the UK by Ronnie Starr, one of the worlds leading tattoo machine builders for many years.The frame is investment cast for precision and has an old school look and feel. Set especially for colouring/shading it can be used with Rounds, Flats, Curved Magnu..